You are here: Home / Articles / Articles / Articles by Practice Area / What are Consumer Protection Laws? Consumer protection laws are federal and state statutes that regulate seller and lender practices concerning consumer goods. The Consumer Product Safety Commission (CPSC) and Federal Trade Commission (FTC) are federal agencies that handle product safety standards and consumer complaints, respectively. These laws typically go beyond the traditional legal remedies available for breach of warranty. These laws are found in nearly every state, but the details may vary. Limits what debt collectors can do when contacting or seeking you out to repay a debt. Specifically prohibits such things as harassment. Statutory damages and attorney’s fees can be awarded for debt collectors that do not comply. Covers a broad range of conduct, such as charging exorbitant interest rates on credit cards and other loans. Covers hiding fees and penalties in the fine print of agreements. This is covered under federal law, and most states have their own statutes that address such practices. Many states tie-in warranty clauses. Examples of false or misleading practices can include car salesmen using “bait and switch” tactics. Another example could be a seller selling you a broken product, whether intentionally or negligently. A big problem that consumers face is the relatively small amount of economic damages that they suffer as a result of a company’s improper conduct. A class action lawsuit helps to equalize or tip the balance of power. An individual whose rights have been violated can join together with others who have similar claims against the same defendant. In ordinary lawsuits, a plaintiff can typically only recover his or her actual losses. However, many consumer protection laws allow consumers to seek additional penalties, which can drastically increase the damage award, sometimes even tripling the amount of actual damages. 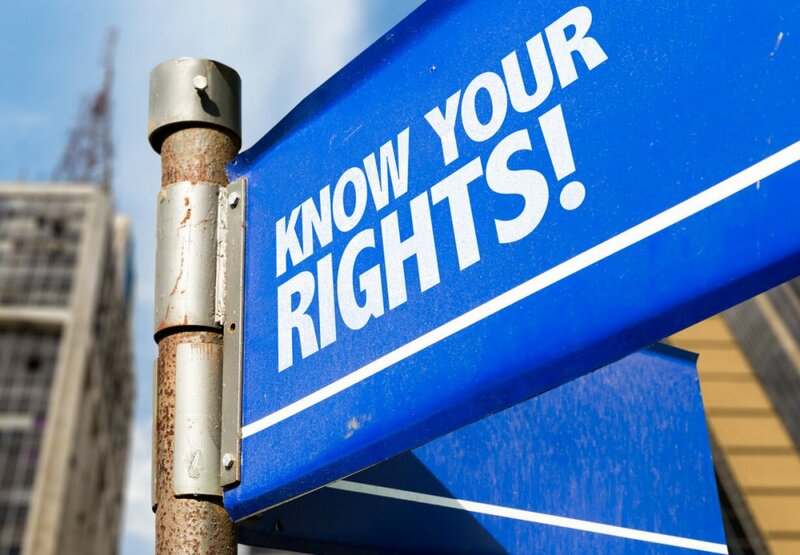 If you think that your rights have been violated, contact a consumer rights lawyer that can answers your questions and get you the help that you need. Many lawyers offer free consultations, and there are statute of limitations to consider in some cases. Thus, it is in your best interest to contact a lawyer as soon as possible. https://cdn.askthelawyers.com/wp-content/uploads/2017/09/28092940/iStock-808760782.jpg 853 1230 AskTheLawyers™ https://www.askthelawyers.com/wp-content/uploads/2018/05/Asset-2-300x40.png AskTheLawyers™2017-09-03 14:06:202018-08-20 11:43:50What are Consumer Protection Laws?